Do you ever stay in front of your closet wondering “how to wear long skirts casually?“… To me, it happens most of the time… Usually I’m avoiding to wear this piece of clothes. Why? Because I don’t know how to wear long skirts without looking frumpy. But when the hot season is coming, I like to try new things, like long skirt outfits. 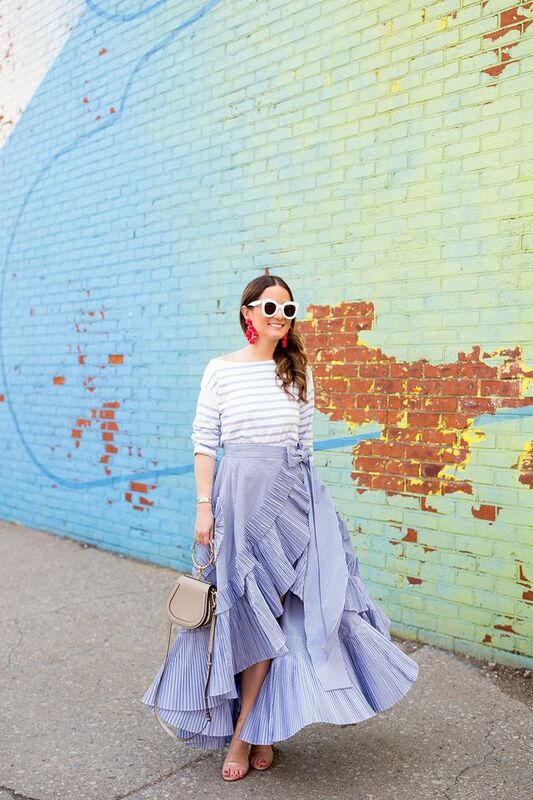 One thing is clear: maxi skirts are the stars of any summer outfit. These are the pieces of clothing which never get out of fashion and will be classy in every hot season. A maxi skirt is always a good idea, no matter where are you planning to go, except when you are planning to wear a summer work outfits. Besides that, all you have to do is to accessorize correctly a long summer skirt and you can be sure that you’ll make a good impression. 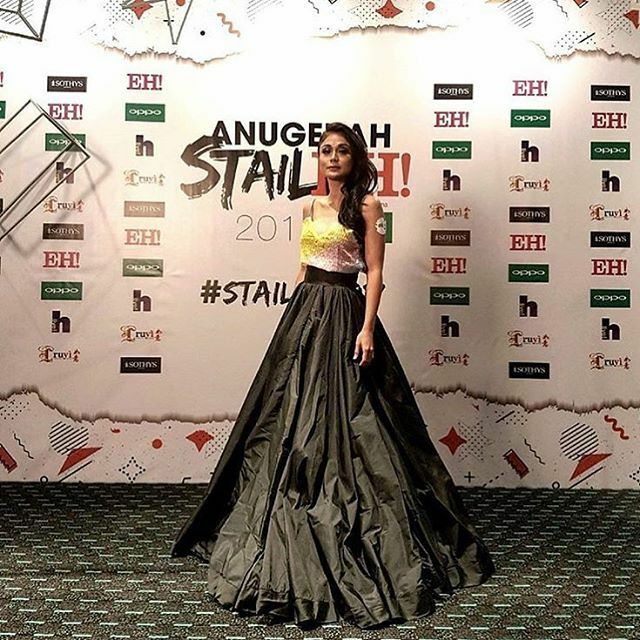 Like for example, if you are planning to wear a long summer skirt outfit to an event, you must have at least a ball skirt in your closet, because this may be the element that transforms them into princesses for an evening. 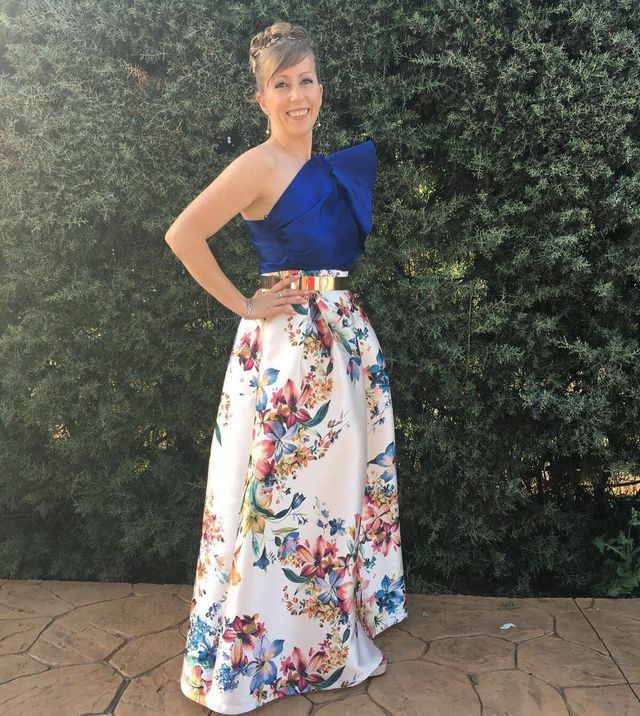 You can wear such a skirt at a gala event, where the outfit should be without a spot, in a unique combination with an asymmetrical top. It’s one of the combinations that you’ll find at either wow or ew. How can you wear a ball skirt? In a neutral color, but highlighted by greatness. It happens sometimes that you don’t stand out by color, but by the effect that certain pieces of clothing create. A white or black skirt, but made in waves of special materials, will capture all the attention. You should not forget about floral prints to. 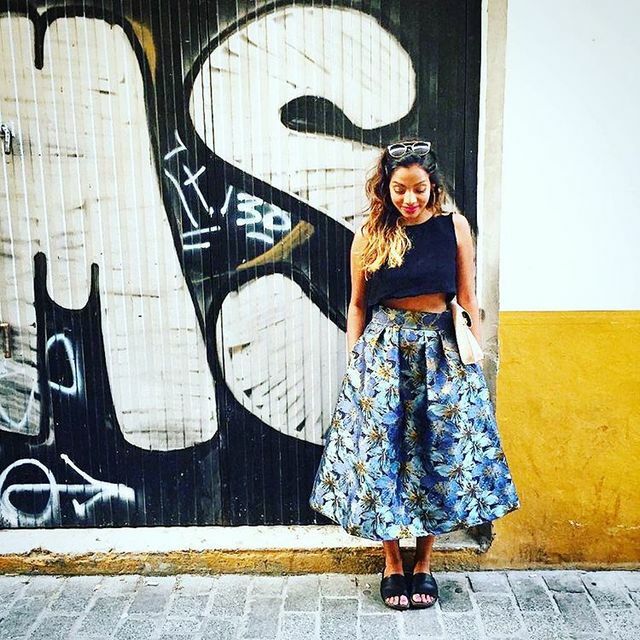 This way to wear the ball skirt will help you feel very comfortable but also super trendy. You can wear an incredible brilliant blazer in a divine color with a blouse in a neutral color. This is the key to highlighting such a creation. I advise you to try and medium-length ball skirts that bring a retro air and will turn eyes on you to any event you attend. It’s a length that benefits every shape of body, so you don’t have to worry that it will reveal the parts that you do not want everybody to see. I’ve lost count of how many times I have dreamed of wearing a gorgeous maxi skirt with a classy white shirt in Carolina Herrera style. I know, it’s pure magic! However, if you’re aiming for a less dramatic effect, here are a few of my favorite long summer skirt outfits. It seems like vloggers can nail down all mainstream trends. Nevertheless, you should not forget that attitude is your most important asset. Why not use it to create the same effect in the boring and uninspired days? Mix a chic crop top or tank-top with a lovely chiffon, lace or soft textured skirt, add a pair of sandals or pumps and eventually a bag or girly jewelry. High waist skirts and crop tops can help you through the hottest part of the summer and allow you to shift the focus on your upper body, shoulders and even perfectly toned arms. 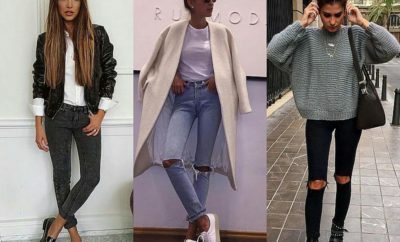 You can always use these tops in order to create cute outfits with jeans for summer by mixing them with denim trousers, or you can create women’s summer work outfits by sporting decent tops and long skirts. Let’s take a look at these pictures so we can learn how to style summer skirts or to see trendy skirts for this year. When the meeting is more than just a date between buddies, then you can choose a more attractive top and a pair of high-heeled sandals. Of course, there will also be situations where your outfit should look like is out of fashion magazines, but at the same time casual. You can come out of the deadlock with a special design blouse, either with the shoulders on sight and floral print, or asymmetrical, with a longer sleeve and a shorter one. A maxi skirt does not need too many things and complicated combinations, only a top as simple as possible. It is preferable to call to simplicity at the top and let the skirt to attract every eye. 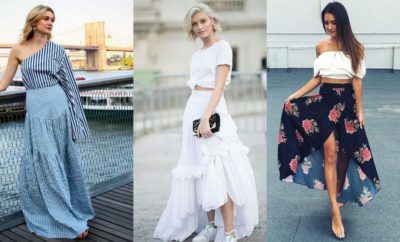 This summer are becoming fashionable maxi skirts in floral prints, or in a single color, but surely the materials should be very thin. Not forget that we are in the middle of summer and our skin need special treatment from our clothes. So, here are some tips about how you can create beautiful long skirt outfits. Fortunately for you, I’ve prepared some images with long skirt outfits that will help you fully understand the simple rules of wearing such a skirt. 1.Minimize the number of daily outfit struggles by having an all white maxi skirt in your drawer. 2. Mixing stripes is a risky business, however, if you do it, do it well. A one-shoulder long-sleeve blouse can be a daring match to a maxi skirt with the same print. 3. Repetitive long skirt outfits can become Zzzzzz boring. Not if you discover the multitude of T-shirts, feminine blouses and shirts you can team up with this floral print flared skirt. If your spirit is young but you are over 50, you can use this picture as inspiration in order to find out how to be casual over 50. 4. Regardless of your body shape, you won’t regret trying this jungle print top ‘slash’ pink maxi skirt ensemble. Make the most of seasonal trends! 5. 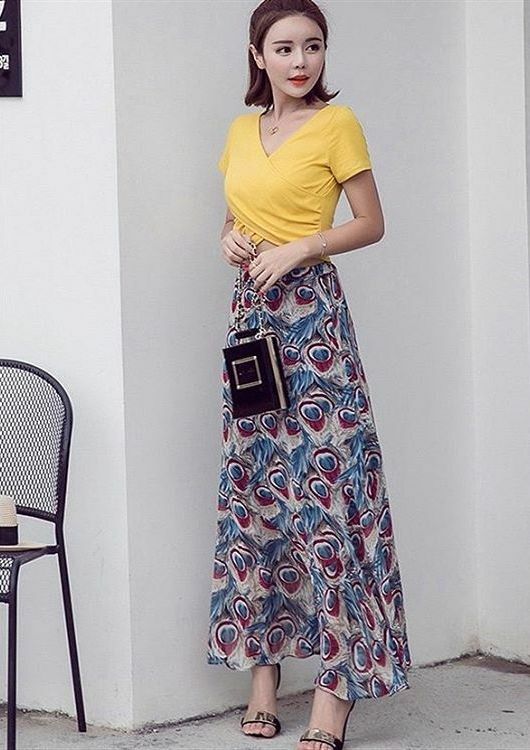 This old school looking maxi skirt can be easily perked up if you wear it with a pastel yellow cropped top and high-heel sandals with a contemporary design. 7. Fill out your closet with a few fanciful and also uber-practical flared maxis. Prints are your buddies when trying to escape from monotony and style your long skirt outfits. Try this one when you wonder what to wear on a date. 8.Put together a romantic off-duty style with this white off-shoulder top and high-slit floral maxi skirt. Flash your abs and toned legs in one set. Just a lovely way to create summer outfits for teenage girl. Instead of wearing your daily cute outfits with skinny jeans in summer, try this outfit with a maxi skirt. 9. Midriff-baring co-ords are a huge trend right now. Sport the strapless top with a high-waist skirt in a matching shade add strappy sandals for a flirty vibe. 10. Continue to collect the loveliest printed co-ords of the season. Short-sleeves create a modern and casual air to your maxi skirt outfit. 11. Start envisioning a few fashion-forward ensembles you can create with the loveliest block-colored long skirts and a simple neutral colored T-shirt. Think creative when choosing accessories and your hairdo. Learn how to style summer skirts from this pictures with lovely summer skirt outfits. 12. The striped flamenco skirt adds a bold twist to this casual set, especially, if you match it with another printed top. You definitely need to step out of your comfort zone to nail this! Use it to copy a summer going out outfit and impress! 14. While this composition looks like a custom-made set just for festivals, you may find either the top or the bottom wearable separately. The outfit from the next image is not what you should copy when you are trying to find club outfits for women, but you can always inspire from it, if you are looking for summer festival outfits. 15. Breathable textures and tailoring designs are going strong. Wear a beautiful gipsy-style maxi skirt with a delicate message top tied in a bun to create a cropped effect. Sneakers are optional. 🙂 Replace this beautiful long skirt with a pair of jean shorts and find out what to wear with denim shorts in summer. 16.Fill out your closet with a few fanciful and also uber-practical flared maxis. Prints are your buddies when trying to escape from monotony. 17. Have a red carpet moment by putting on a picturesque floral print maxi skirt, a one-shoulder glam top. Top your look with a golden belt and high-heels. 18. Lightweight block-colored maxi skirts offer the perfect ventilation during the hot season. Use this item as the perfect foundation for your set and play with various top styles until you find the ONE. 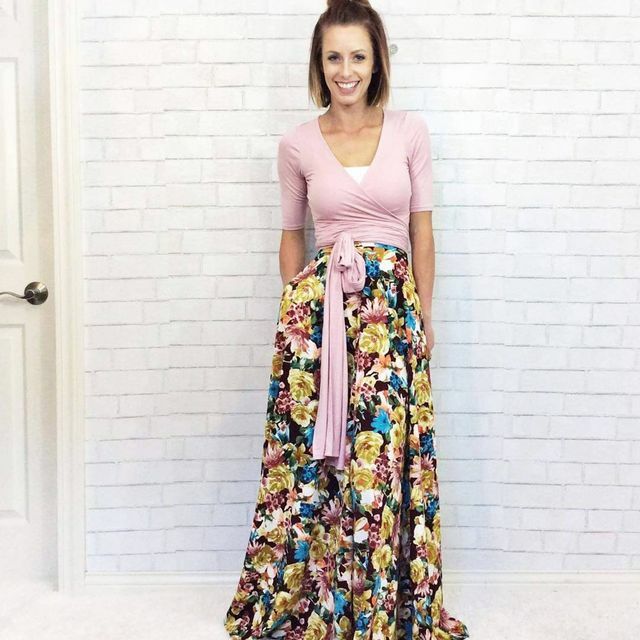 Here is an example about how to style maxi skirts. 19. Are you tired of shaving your legs? Just kiddin’! :)) You don’t have to find a nasty excuse to wear long skirt outfits. It’s enough if you just love them, pure and simple. The fitting wrap top instantly elevates your outfit. Because of the long sleeves, you can always use it to diversify your outfits for clubbing in winter. 20. Ahhh…. I wish I had the inspiration to style summer skirts for similar looks. 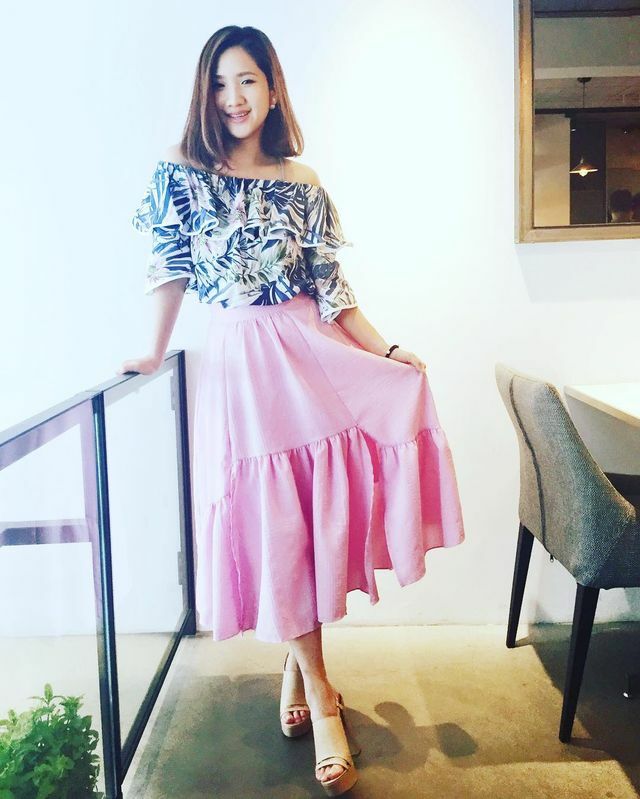 First step is indeed to find a few lovely ball skirts designs both for casual and formal ensembles. As for off-shoulder ones, I hope you already have it among your basics. 21. Many of us are afraid to wear skirts because they are difficult to match with other items. But there is a small secret on which all women should know and it has to do with this garment, that is the piece around which all the outfit is defined. In other words, the skirt becomes the “star” of the entire outfit and now you are going to find out how to wear long skirts in summer. Use this image as inspiration for a first date dinner outfit! 22.How can you wear a maxi skirt? In a vibrating color highlighted by greatness. It happens sometimes that you don’t stand out by color, but by the effect that certain pieces of clothing can create. 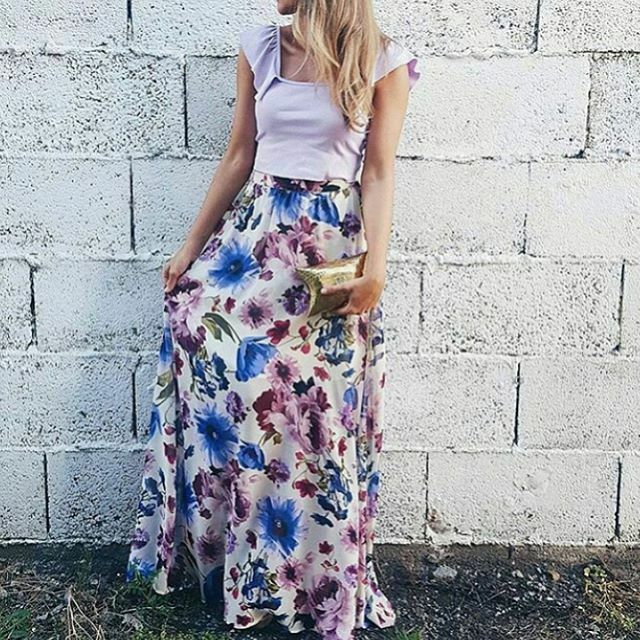 A floral print skirt like this one, will capture everyone’s attention. The mix of a white top, the high heels sandals and a maxi printed skirt is perfect for a day outfit. For a night out, I would change the skirt with a pair of shorts in order to create an interesting shorts club outfit. 23. Instead of wearing a leather skirt outfit during summer, maybe you should try a lace skirt outfit for a evening out. 24.There are still statements that long skirts are hard to adjust for daytime and evening. Well, things are not like that. This item is easy to wear anytime. The secret? Right combination. If you want a relaxed outfit, suitable for a meeting between friends, then you have to wear a long skirt with a simple top. In that way you let the skirt to be the star of the outfit. Try this outfit instead of a club outfit with jeans, next time you are searching for ideas for going out outfits. 25. As I mentioned above, this summer is fashionable in color, which means you have to wear at least once a 3D flower print. And last, do not forget to wear skirts in combination with a top with the same pattern. You will create a perfect fit for the very special occasions in which you do not want to be surprised by wearing a skirt and not a dress. 26. Get over the funeral or Goth-vibe of a black long skirt and check out how stylish things can get when paired with a white shirt. 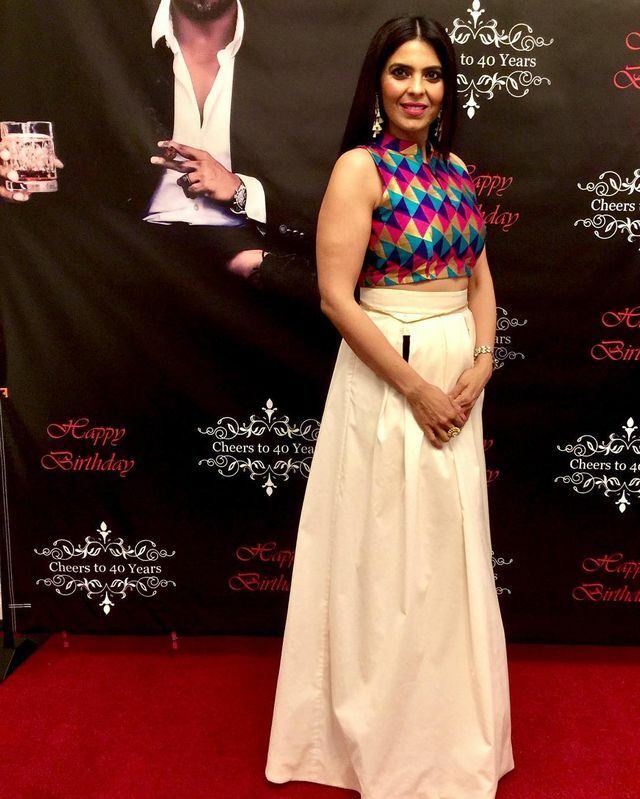 You can use it for inspiration if you are looking for outfits with a black pencil skirt or replace it with a white pencil skirt in order to find the answer to the question ” what to wear with a white pencil skirt “? 27. No! It’s not a black leather skirt outfit! It’s a combo that you just can’t go wrong with it and inspires you when you don’t know what to wear with a black maxi skirt. Your task is to choose from the hundreds of designs available on the market. 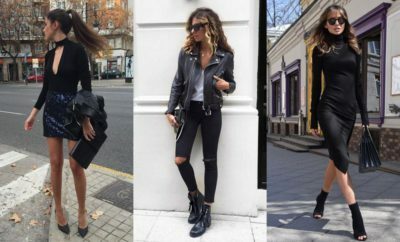 It’s summer, it’s hot and if you think of those fall outfits, this time you have to take advantage of the high temperatures that allows you to make fashion combinations worthy of fashion magazines. Enter in the world of colors and light materials and follow the tips above about how to create long skirt outfits for summer. Copy these summer skirt outfits and you will see that you will become the goddess of the summer. Thank you Esha!!! It’s very kind of you!!! Thank you for reading my post!! !